one game & that was last game at Northwestern (7-7 tie) I asked him after the game what he though of American football & all he said was "Ach." (In Germany they played Soccer.) Did name one of my sons Nile - Christopher Nile. He resides in Tex. I also wrote to & met Dr. Baender. 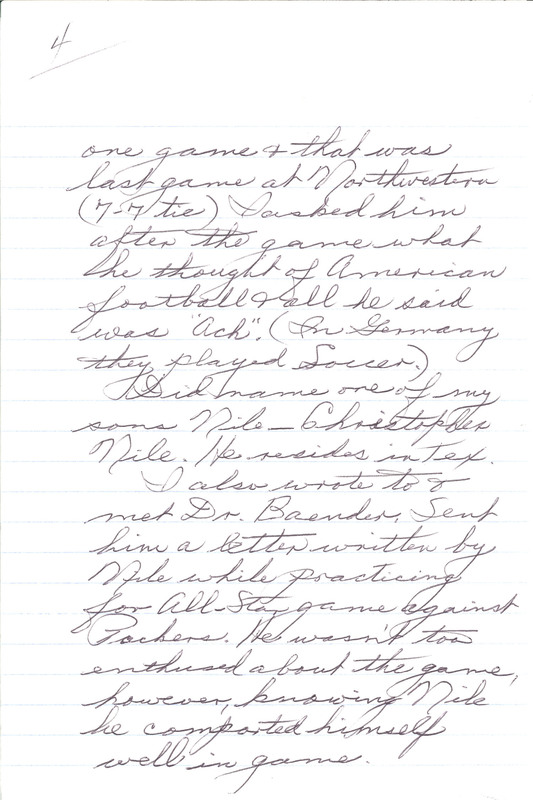 Sent him a letter written by Nile while practicing for All-Star game against Packers. He wasn't too enthused about the game, however, knowing Nile he comported himself well in game.